Possibly the best clear, lemon yellow flower colour of all the new yellow hybrid Magnolias, this one gets its name from Brooklyn Botanic Gardens where it was first introduced. The yellow flowers of Magnolia x brooklynensis 'Yellow Bird’ have a neat goblet shape, although are not the largest. Blooming in late spring just as the leaves emerge, the creamy yellow flowers contrast wonderfully with the dark green leaves. The leaves add autumn colour as they fade to yellowy brown. 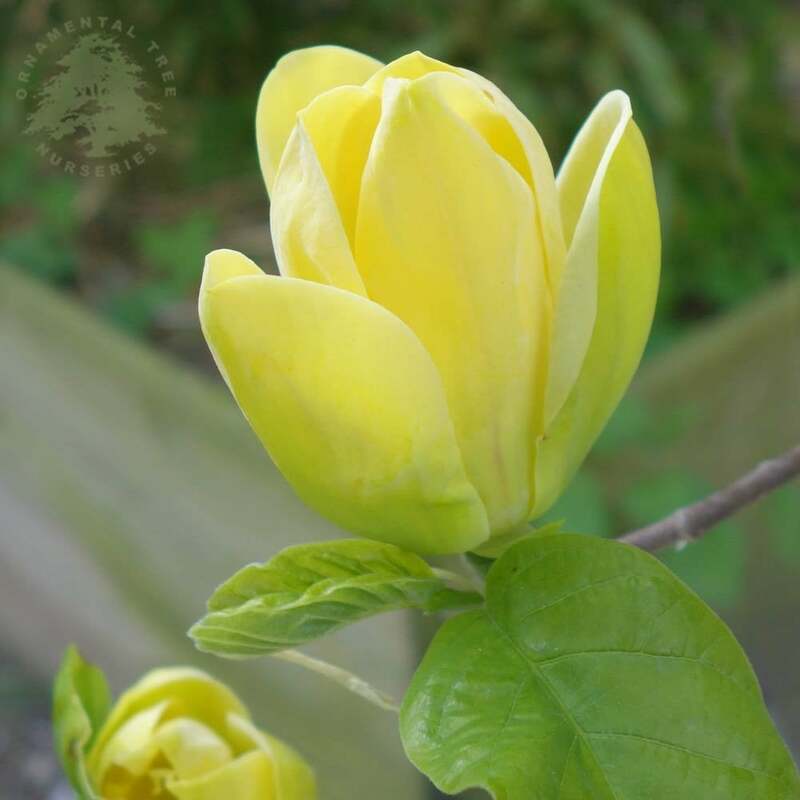 As Magnolia 'Yellow Bird’ flowers in April/May it is a slightly later flowering Magnolia than most and so less at risk of frost damage. Also known as a Yellow Lily tree, 'Yellow Bird’ has a final height and spread of 10 x 6 metres in 20 years and makes a magnificent large deciduous tree with an almost conical shape. As with other Magnolia, it is best in a sheltered position in sun or semi-shade. Our pot grown Magnolia Yellow Bird can be planted at any time of the year. Firstly, remove all weeds and grass within a metre of your desired planting hole. Dig a square hole as deep as your root mass and approximately 2x as wide. To help your Magnolia establish more effectively, sprinkle root grow in the hole. For tree forms of Magnolia Yellow Bird, we recommend using a stake and tie kit and rabbit guard when planting, but these are not needed for the bush forms. The help and advice section has further information and videos. Magnolia Yellow Bird trees can be pruned into shape, but should not be heavily pruned as they can go into shock. Simply remove any damaged branches or any that are growing in an awkward position. If pruning to limit the overall size, stagger your pruning over a few years to alleviate the stress on your tree. Pruning for Yellow Lily Magnolia should be carried out in mid-summer to early autumn. Avoid pruning in late winter to early spring.